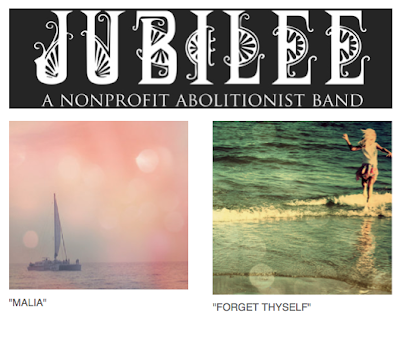 New releases: "Malia" & "Forget Thyself"
We thought we'd play Santa Claus and sneak a couple new tracks in your digital stocking. Click the image above to visit our Bandcamp page where you can listen, and even give the tracks to friends/family as a holiday treat. As always 100% of proceeds go to www.ArtsAftercare.org to bring "beauty and healing through the arts" to survivors of modern slavery.